The fourth event in The Winterbotham IC Junior Tennis Series went to Freeport last weekend and again proved very successful. 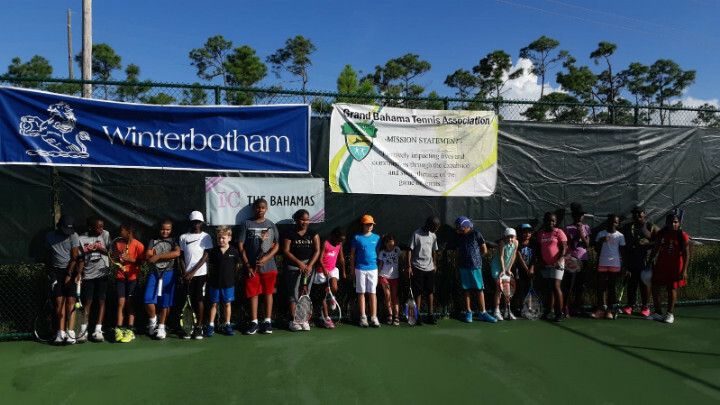 This unique series for 10 & under and 12 & under junior tennis players based on a round robin format over just one weekend attracted participants from both Freeport and New Providence. So it once again widened the participation in this important development group for the future of Bahamian tennis. The competition took place on the Y.M.C.A. 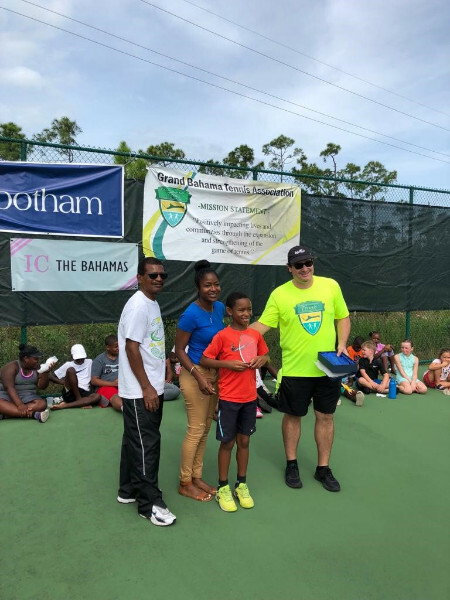 courts with the IC organisation working together with The Grand Bahama Tennis Association and its coaches to stage the event. In the 12 & under category Jerald Carroll was the winner with second place going to Jalisa Clarke. In the 10 & under Nevon Bethell won with young Patrick Mactaggart taking second place. The “Charlie Farrington” Sportsmanship award went to Noah Russel with a special mention to Millie Buekes for “most fighting spirit”. A special donation was made by The IC of The Bahamas to G.B.T.A. and its coaches of rackets, balls and tennis clothing to help them with their development of the game by IC Vice President Neil Mactaggart. The aim of the Winterbotham IC Junior Series is to have an emphasis on development and building a group of young tennis players who can work together as friends to help improve all their skills. So all players get several matches in one weekend without any early elimination.